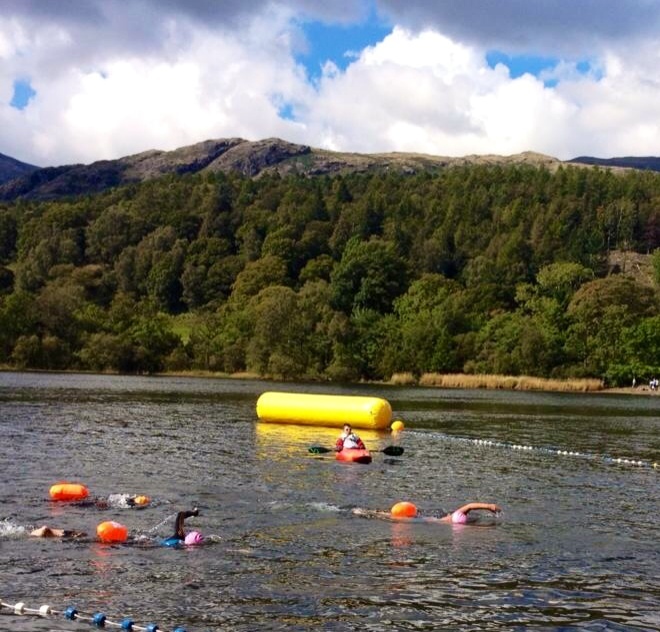 We were told last week that we wouldn’t be doing our relay over the weekend so on Friday a group of us descended upon ‘The Lakes’ to complete the length of Coniston – a 5.25 mile swim being organised by Chillswim. Friday was my birthday and after a tiring 8 hour drive driving past accident after accident we arrived in Coniston and headed straight to the pub for some dinner. Our little swimming crew comprising of Manda, Kate, Brian, Paul, Dave, Selina and Tom stocked up on plenty of food ready for the swim in the morning – it wasn’t going to be an early start for once apart for Selina who had volunteered to help out on one of the feed stations. without the volunteers many of these events couldn’t go ahead so we always appreciate the support these guys give us. 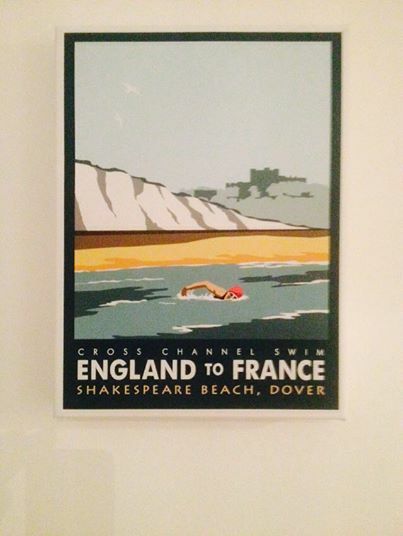 The team also presented me with a lovely birthday present, it now has pride of place on my wall and will help to inspire me everyday to get off my lazy arse and go and train ready for my solo swim next year. On Saturday morning Tom headed off in a slightly earlier wave to us but we got to the start in time (we were bused over from the finish) to see him off. Until this summer Tom had never swam further than 2km so this was a big step up for him and he had trained hard all summer – as you can see from the photo below it looks as if he is wishing he wasn’t there. It was also the furthest Kate would have swam so although she did a channel relay this year this would be a great swim for her to add to her list of achievements this summer. Tom wondering why he is about to swim 5.25 miles! After driving for 8 hours the day before, not being well in the morning of the swim and our looming (hopefully) two way relay I decided to take this swim easy and just enjoy it – this was easy to do as there was no horn for the start just a ‘enter the water’ so no big rush to run into the water and get off on a sprint start. As the others headed off Kate and I decided to take an easier pace, the water was a toasty 17.3 degrees and although many had wetsuits on I wasn’t the only one not wearing one – Paul decided last minute to ditch the wetsuit plus many others who had done channel swims etc. this year. 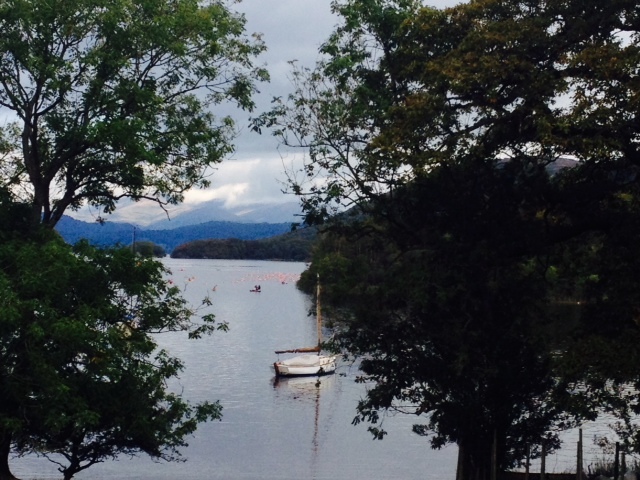 At one point in the swim we headed to the left of an Island which we had been told was the setting for Swallows & Amazons. Shortly after this point Kate decided to push on a little harder, I wanted to take it easy so stayed at my current pace and watched her swim off. At feed 3 where Selina had been since early in the morning I bumped into Paul and Kate, Kate and I joined back up again and stayed together for the rest of the swim to finish together – despite the weeds after feed 4 trying to pull us down into the depths of Coniston Water. As Kate and I exited the water we saw Tom, Brian, Manda & Dave waiting for us at the finish. Paul came out just a short time after Kate and I. It was a lovely swim and a beautiful day and setting to do it in. Tom had bought me a massive gluten free chocolate cake and a big bottle of bubbles so we celebrated us finishing swims, volunteers, birthdays and a lovely weekend and after a little rest headed off for another dinner. A lovely weekend spent with great friends in a great setting. It was a lovely change of scenery whilst we wait for our two way relay – of which we are still doing! 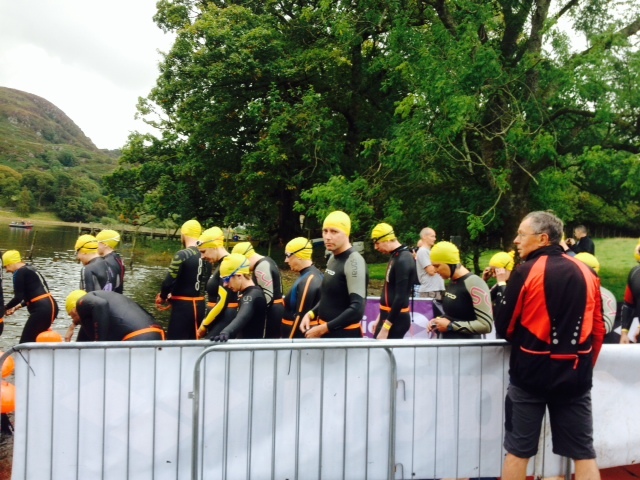 This entry was posted in Uncategorized and tagged Channel Swimming, Chillswim, Lake district, swimming. Bookmark the permalink.